The Hershey Company today announced a package of environmental initiatives and commitments that will further strengthen how the company operates, creating a positive social impact from farm to finished product. The Hershey Company today announced from Kakum National Park in Southern Ghana a package of environmental initiatives and commitments, including establishing a new comprehensive environmental policy, signing the United Nations Global Compact (UNGC) and joining the Science Based Targets initiative. 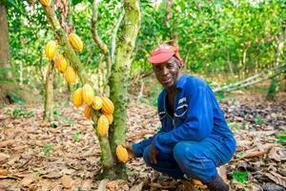 In addition, Hershey is launching the Kakum Cocoa Agroforestry Landscape Program, focused on improving the well-being of cocoa farmers and their families and strengthening the region’s socio-economic and ecological resilience to climate change.